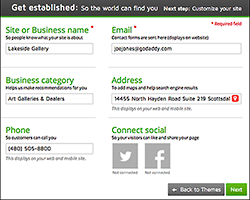 You can add images of your own, ones included with Website Builder, or from your social media sites. Note: Images need to to be formatted as .jpg, .jpeg, .gif or .png files. 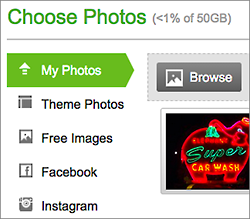 Image uploads are limited to 30MB per file. While images as large as 5000 x 5000 pixels can be uploaded, images will not be displayed larger than 1920 x 1080 pixels. In the left-hand toolbar, click the Image tool. My Photos Click one of the images in the grid or click Browseto select an image you want to upload from your own computer, and then click Open. Theme Photos Click to select one of the images included in the Website Builder theme already installed on your site. Free Images To select an image from our library of free images, enter a search term to find specific images in the library, or select a category from the All categoriesmenu. Facebook To import images directly from your Facebook® account, click Connect to Facebook, log in to your Facebook account, and then click Log In with Facebook To turn off the connection, you’ll need to log into Facebook again. Instagram To import images directly from your Instagram® account, click Connect to Instagram, log in to your Instagram account, and then click Log In with Instagram. To turn off the connection, you’ll need to log into Instagram again. After selecting the image you want to use, click Insert. If you need to reposition the image, click and drag it on the page. If you need to resize it, click and drag any of the blue squares along the image’s edge. The image will keep its proportions. If you want to adjust the image in other ways, see Edit images below. When you’re done making changes, click Publish to update your site online. Note: Under the European Union’s General Data Protection Regulation, websites are required to give visitors from all EU countries the option of accepting the placement of data files (cookies) in their browsers or leaving your site. You can use a text box for that purpose (like the one in Step 5), though you should seek legal advice about the exact text used. 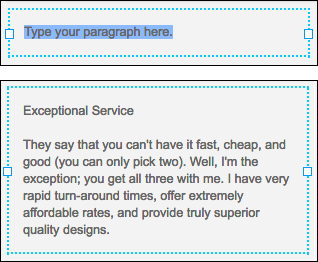 Click Edit Site and use the page menu to select a page to which you want to add a text box. In the left-hand toolbar, click the Text tool and a text box is added to the page. You can begin entering text in the box immediately. Or click and drag any of the six border boxes to resize the text boundary before you begin. Note: You also can copy and paste text from other documents into the text box. While you can copy and paste a Microsoft Word document into the text box, the font styling (font size, color, and bold, italic, etc.) will be lost. Click Preview to see how your text book looks, and if you’re ready, click Publish. To change your text’s color, font, or styling, and other details, see Change text . To change a text box’s background color, size, border, and other details, see Change text box. Organize pages with navigation menus. Note: If you’re migrating from a Website Builder version 6 site to a Website Builder version 7 site, see the Note in Step 6. Log in to your IFindHost – Cheap Domain Registration. com account. 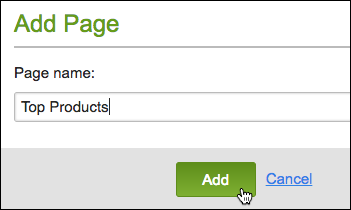 In your Products list, click Website Builder, and then click Managenext to the account you want to use. Click the New Page button in the left-hand toolbar, fill in the Page name field and click Add. Select your new page from the page menu and click the pencil-paper (edit) button. In the Edit Page dialog, fill in the fields — including the Page filename field. Note: Use a Page filename that identifies your page’s specific purpose or content. (It need not match the Page name.) Keep it to 1-4 words, separating each with a hyphen or underscore. Include the file extension (.html or .php) only if you’re migrating from Website Builder version 6. When you finish adding page content, click Preview. When you’re satisfied with the results, click Publish, then click the confirmation window link to see the page live on your site. Website Builder comes with site-building tools that don’t require technical skills or coding experience. You can choose from hundreds of themes with placeholder content and images to get started quickly. Click Website Builder/InstantPage to see your website accounts. Note: Each theme has pluses and minuses, and it may take a couple of days before you know if it fits your needs. While you can change your theme at any time, none of the text and images you’ve added will be preserved. To avoid starting from scratch if you switch themes, you may want to “test drive” a theme with a minimum of your own text and images until you’re sure about it. When you’re ready, click Publish to present your site to the outside world. For a linked list of Website Builder’s most commonly used tasks, see Using Website Builder. If you own Website Builder v7 but haven’t yet migrated your v6 site’s content, here’s how to move over the text. Remember: The v6 content will not be accessible after you publish the new site. Note: Depending on your site’s size, this manual process can take a while. You may want to check out Options to migrate my website. In a separate browser window, log in to your IFindHost – Cheap Domain Registration. com account. 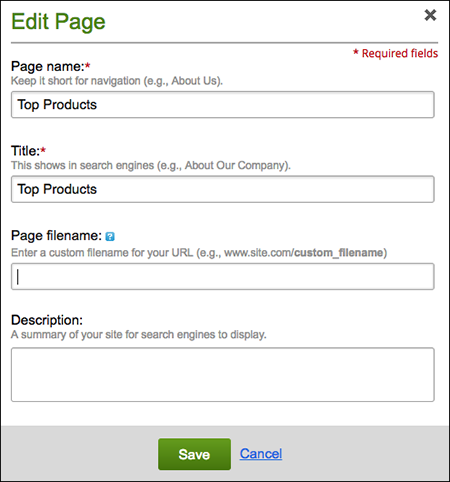 In your Products list click Website Builder, and then click Managenext to your new account (not your v6 account). When your new Website Builder launches, select a theme for your new site. Note: No need to spend a lot of time creating perfect pages — the goal is to move your v6 content over to the new site as simply as possible. You can rename and polish your v7 pages later on if you like. 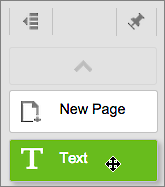 Create a text box on one of the new pages by clicking the Text tool in the left-hand toolbar. Drag the text box if you need to reposition it. Switch to your v6 site’s tab/window, select the text on a page, and use Cntrl/Command+C to copy it. Switch back to the tab/window displaying your new Website Builder site, select the text box’s placeholder text, and use Cntrl/Command+V to replace it with the text copied from your v6 site. Repeat these steps on each page of your v6 site until you’ve copied all the text to your new site. 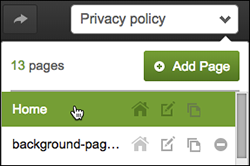 Note: Besides moving text, you’ll also need to re-upload your v6 site’s images to your new site. See Add image and Adding image slideshows and photo galleries. Because the v6 version (and its content) will no longer be available after you publish your v7 site, double-check to make sure you have copied over everything from the old site. Unlike Website Builder v6, Website Builder’s current version doesn’t preserve your content when you switch themes. See Change themes. If you’re ready to print or export the labels, click Visit the Address Labels page, and then click Download to Avery or Download to Excel. Processing Print and Call — When you receive payment on a Print and Call order, you can indicate that it’s paid. Click for the order to be processed, in the Payment Information section, click Completed. Update Shipping — You can update shipping information for an order. Click to process the order, in the Shipping Informationsection, update package information or click Completed to indicate that the order has shipped. Print Address Labels — Use this option to print shipping or other labels. Click to process the order, in the Address Informationsection, select the address(es) to be exported, and then click OK.